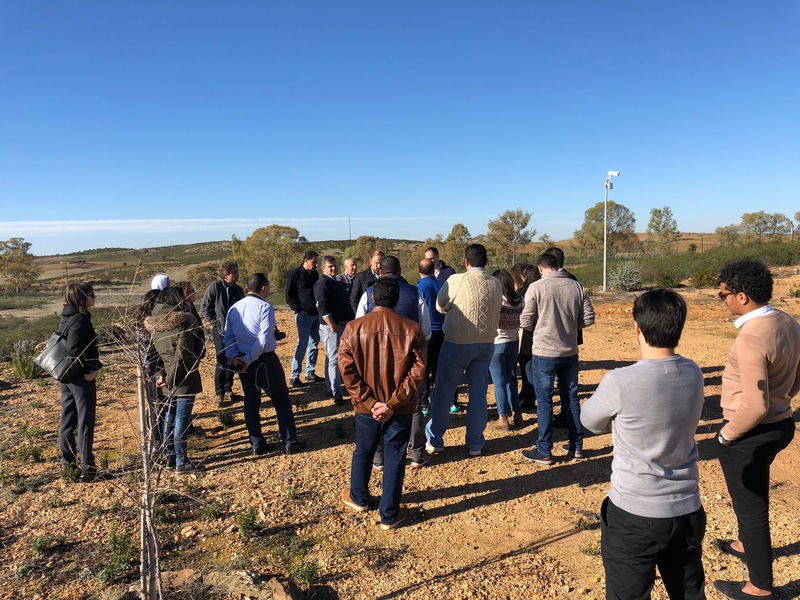 On 18 January, Enercoutim received a working visit from the ENEPLAN project, an Erasmus project that includes academic institutions and energy agencies from the Mediterranean region including Egypt, Jordan, Lebanon, Malta, Italy, Spain and Portugal. The ENEPLAN project was conceived to address the lack of interdisciplinary approaches in higher education on energy planning and RES development in Mediterranean areas, by increasing the capacities of future professionals through innovative ICT-based educational approaches, able to integrate different disciplines (spatial planning, environment, engineering, landscape) and foster collaboration with research and business activities in the RES sector, thus keeping up with its rapid technological innovation. Enercoutim founders Marc Rechter and Natalie Samovich presented the Demonstration Platform model as well as the spin-off European innovation projects, with focus on distributed energy models, digital energy services, and peer-2-peer solutions under development. A dynamic dialogue evolved that allowed to identify several areas of collaboration, and potential use of the Platform Model for accelerating decarbonisation in the respective geographies.